Insan Cendekia Madani Primary School uses Madani Curriculum that integrates Islamic, National and Global curriculum to deliver dynamic, appropriate and academic experiences. 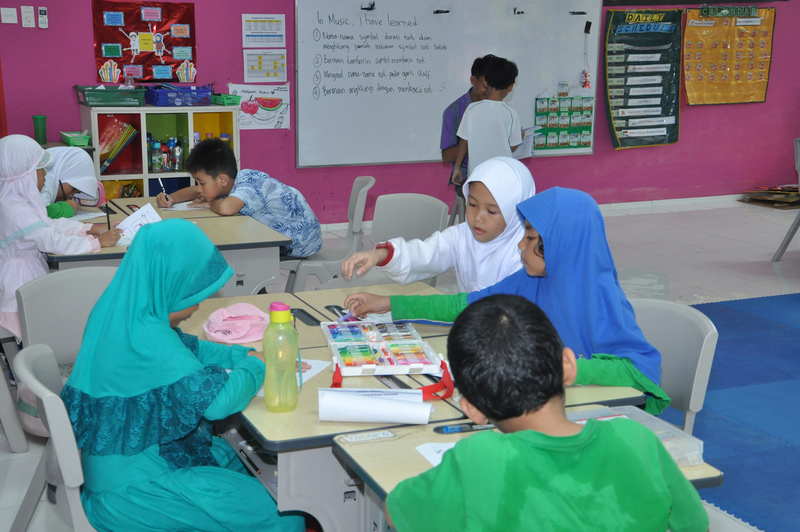 Active learning is the methodology used in Insan Cendekia Madani Primary School. The teaching and learning program develop enduring understanding of comprehensive concepts, placing individual students as the center of the process. Planning, teaching and assessing focus on the long term education goals, with continuous reflection and communication between school, students and parents being the essential part of our program. To develop their knowledge and skills. To integrate the different activities into one big event. Extracurricular takes place after school hours. The duration for each activity is about 60 minutes. Activities are scheduled on after school hour and on Saturday. · Talent program is a program that will accommodate students who already talented in a particular activity. · Expose program is to exposure the students to the new activities. · Subjects program is to potential students in particular subjects. · Taught by ICM teachers. · The registration for Talent/Exposure/Subjects programs are 1 one time for 1 year. · Scheduled in school day after the school hour. · There will be a fee in order to join this program. · Taught by outside providers. · The registration for this programs are every semester. In Insan Cendekia Madani Primary School Program, the system provides a teacher-student ratio of 2 teachers to 20 students (ratio of 1:10). Each class follows a daily schedule that is organized by school. The students are basically in this classroom throughout the day except for special subjects. Starting from Grade 4, students will have a moving class system where they learn specific subjects in a room which support their focus through an establish learning environment. Teacher and students are responsible for the on-going-assessment of students’ work. International and national benchmarks are used by Insan Cendekia Madani school to ensure the school is meeting acceptable standards in all areas of learning. Given at the beginning of the school year, or the beginning of a new unit of study. A diagnostic test attempts to quantify what students already know about a topic. Given throughout the learning process, formative assessments seek to determine how students are progressing through a certain learning goal. Given at the end of the year or unit, summative assessments assess a student’s mastery of a topic after instruction. The students are involved in developing the criteria for assessment in partnership with the teachers. As a result, they understand exactly what they will be assessed on and how they will be assessed. This helps students to understand and to be aware of the important aspects of their learning and to become independent learners. Students will have a scheduled semester examination starting from Grade 4. The students report abides by Insan Cendekia Madani Curriculum. Based on government policy ICM has the privilege to make its own report card based on each student’s development. The progress report is held four times a year at the end of each term. During the SLC, student leads the conference to communicate his/her progress toward meeting the goal or standard for each subject. SLC is held for term 1 and 3. During the PSTC, parents, student, teachers will do report discussion on student’s development in each subject. Progress reports scheduled for each term are written in the academic calendar. A diverse language environment empowers our students to achieve the highest levels of literacy possible. Students are further enriched through the development of other languages which includes the learning of cultures and literature. Insan Cendekia Madani implements a Dual Language program. This program provides opportunities for students to use both English and Indonesian in academic and social situations. We respect and continue the development of the first language. A high level of proficiency in two languages is the goal of dual language education. 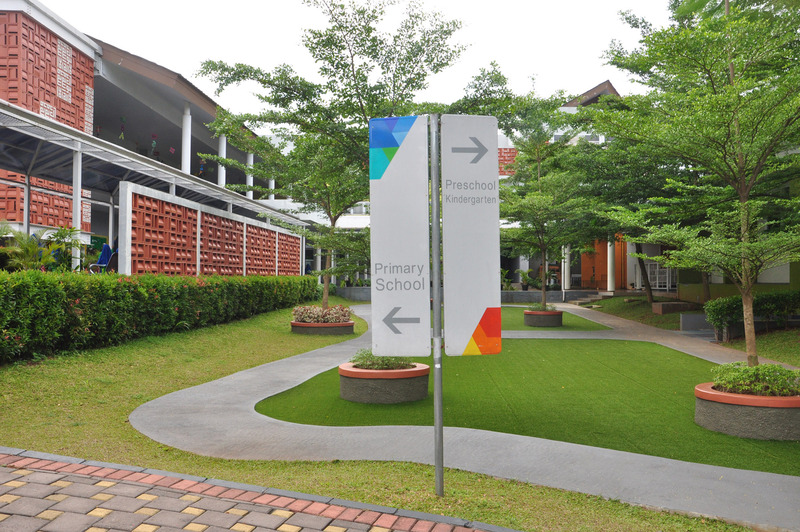 The school provides students with a specific language of the day where they can explore and practice communicating in English as well as Bahsa Indonesia in turns in the social language development. As for the academic language development, we apply English as our language of instruction in all subjects except for Bahasa Indonesia, Islamic, and Arabic classes. 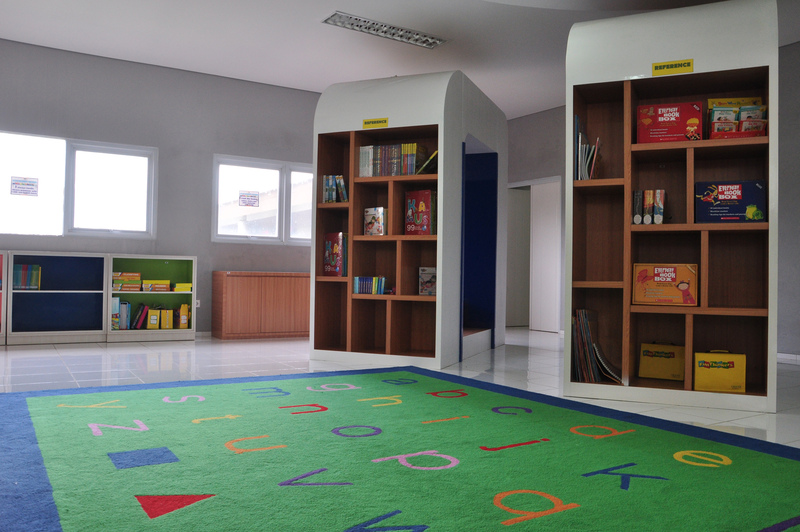 At Insan Cendekia Madani School, a reading program has been established to encourage students to read on a regular basis and to enjoy their reading in English as well as in Bahasa Indonesia. It has also been designed specifically for the needs of our students, to encourage the correct use and understanding of the language, to repeat the complex sentence structures of the language and to enjoy a variety of texts. To support the reading program, we apply the reading log. Reading log is one of the ways to document the reading activities of students in building the reading habit and skills by borrowing a book from library once a week to be read at home. Students read for enjoyment. Instruction and information are given to students to provide more reading opportunities by exposing them to wide range of fiction and non-fiction texts. The challenge for teachers is to design and assign a quality and quantity of homework that allows students to develop: a love for learning, an understanding that their time in school is relevant to their lives outside, and acquire academic and personal skills, which will promote further learning in future education. Homework is the application of a concept (how to apply the skills to everyday life), has a clear purpose, should develop responsibility and attitude to learning, should encourage lifelong, creative and exploratory learners. All homework will be relevant to skills development explained with clear expectations of outcomes, marked and be given feedback, in an allocated suitable timelines , designed to develop skills for independent learning, complementary to classroom activities that develop skills, attitudes, understanding and knowledge. Home Project, once in two weeks. Completion of work that has not been finished at school. As part of the learning strategies, school events and field trip provide students with opportunities to apply academic, interpersonal, and intra personal skills in real life settings. The ICM Academic Calendar is divided into four terms, each term consists of about minimum seven effective weeks. At the end of each term, the students have a holiday and a four weeks holiday at the end of the academic year. Parents are given the academic calendar at the beginning of each school year. The calendar will indicate school events, learning activities, holidays, and conferences, etc. If there are any necessary changes in the school calendar, the changes will be announced through special notices. The success of children education is determined by school, parent, and community. Parents of Insan Cendekia Madani Middle school must attend parents’ workshops organized by Quality Assurance. Connect means parents and school as main part must work with a harmony to make education processes running well. School facilitates many activities and opportunities for parents to engage the education processes in school as well as houses through various parents’ workshops. Seminar, Workshop, Counseling about education and child progress. Volunteer, Guest speaker, or sponsorship for school event. Parents as a part of community has role in education of children nation. The experiences, insight and knowledge that they get from this program can be sustainable and implemented in community.